Industrial wastewater is any water which, after use by the industry, has undesirable characteristics. The correct management of water resources involves the minimization of the negative impacts that come from the discharge of these untreated waters in the environment, particularly the upstream of water for public supply. Thus, both the treatment of Wastewater and the treatment of Water Supply are currently imperative to minimize environmental and public health impact. The Wastewater Treatment Plant (WWTP) is an infrastructure that treats domestic and/or industrial wastewater with the main objective of treating wastewater to prevent risks to public health, contamination of water resources, including contamination of groundwater, and to prevent general environmental pollution, either in the form of unpleasant odors or of degraded landscapes. The effluents produced by industrial activities present pollutant characteristics capable of causing environmental impacts when directly discharged into the natural environment. The industries are therefore confronted with the obligation to adequately manage discharges of their effluents. 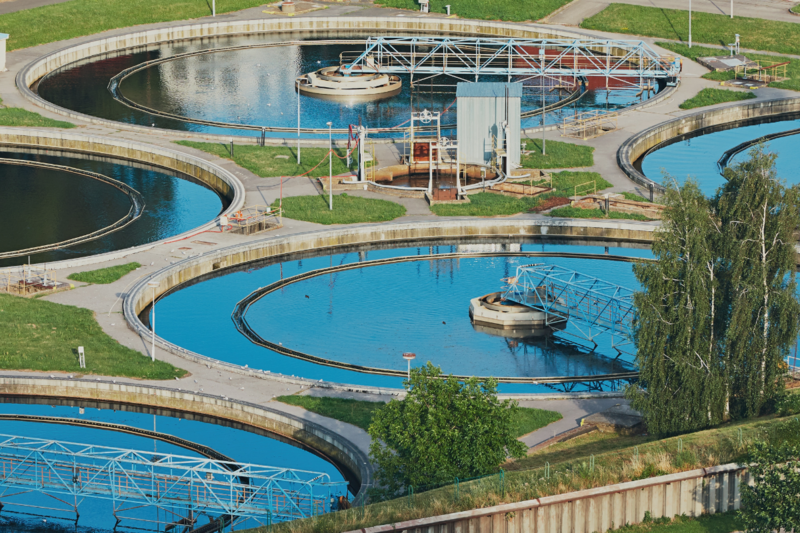 Industrial activities use water for a variety of purposes, from its consumption as raw material to use in washing, cooling and many other operations. At ETMA, the WWTP is essential to treat the water resulting from the galvanization process, as it becomes wastewater and it needs to be treated in order to be discharged to the municipal waste collection point according to the current legislation for the environment. Due to the importance of this equipment, ETMA gave priority to the renovation of the existing WWTP in its facilities, during the 2nd half of 2017. As Carla Rodrigues, ETMA Metal Parts’ Environment Director, says “With this renovation, we have a WWTP with a safer structure for the employees, a technologically-refurbished WWTP, a clean-faced WWTP”. “Sometimes we feel that what we do is nothing but a drop of water in the sea.